The dramatic new look of Pavilion X recaptures Jefferson’s original design for the building, including re-creating a rooftop parapet that was removed in the 1890s. The parapet, made of cedar and African mahogany, weighs about 35,000 pounds and stands 9 feet tall. The Chinese railings have been restored to their original design and height. The glossy white paint on Pavilion X’s columns has been removed, and the columns have been restored to their original warm sandstone appearance, with a rough-textured finish. White paint is also gone from the wood trim, which has been painted a grayish-tan color that conservators believe is close to its original color. Changes to the appearance of the Academical Village have always been controversial, and the Pavilion X restoration is the latest focus of an ongoing debate. 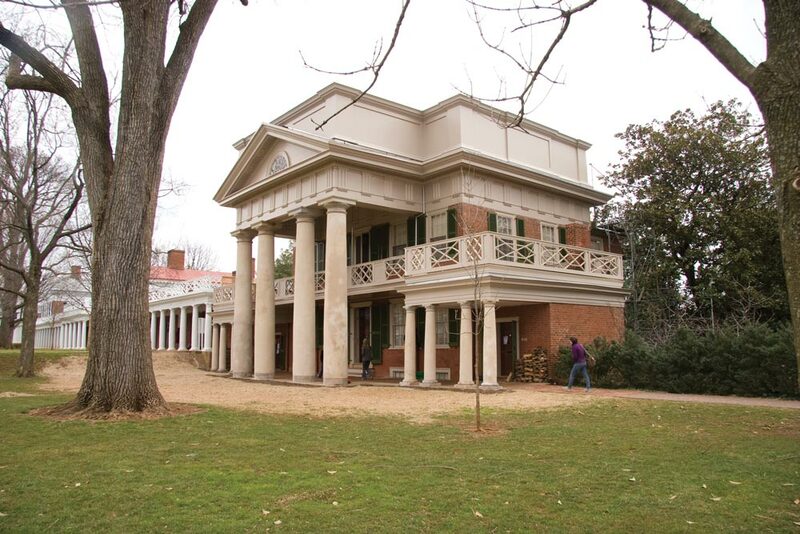 “Do we look at the Lawn as it has evolved or at Jefferson’s original vision?” asks Brian Hogg, the University’s senior historic preservation planner. “This is a return to what Jefferson imagined.